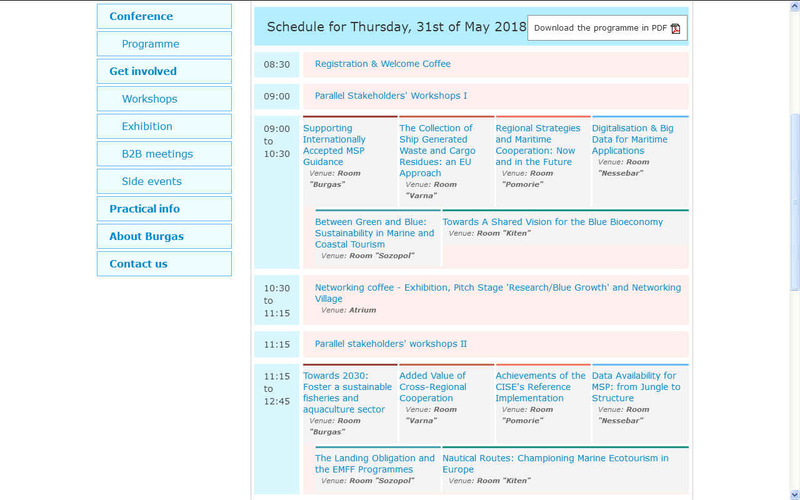 European Maritime Day is an event in May of each year that allows EU member states to table topics to do with the sea, as per the theme taglines seen below. 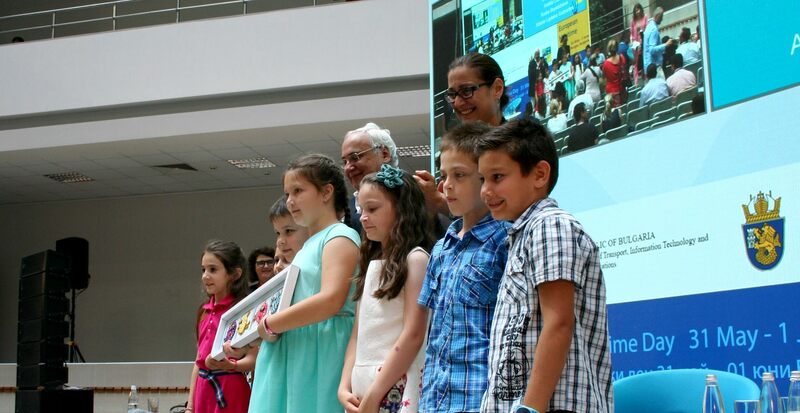 HANDOVER CEREMONY - Alberto Laplaine Guimarães is presented with a gift of maritime art from the children of Burgas and Ruska Boyadzhieva. Alberto is the Secretary General of Lisbon City Council and Ruska the Deputy Mayor of Burgas, Bulgaria. Bulgaria reinforced their commitment to blue growth in a ministerial statement to conclude this superb event for which the City of Burgas should be rightly proud. Copyright © photograph June 1 2018 Cleaner Ocean Foundation. 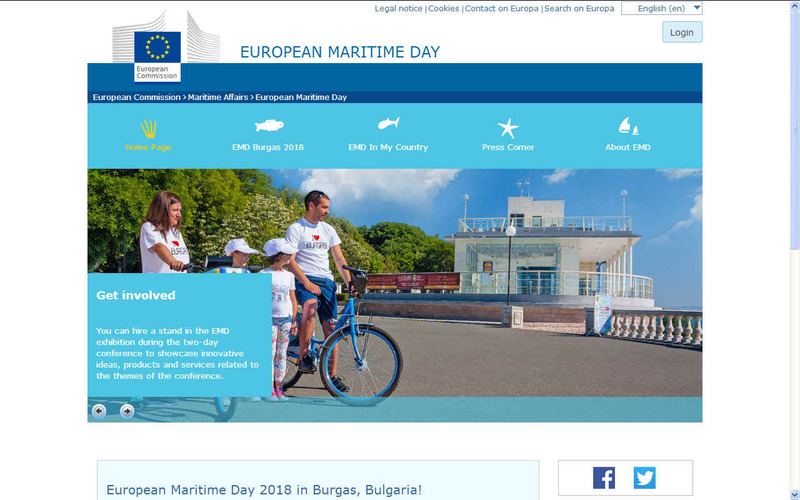 The European Maritime Day (EMD) is the annual meeting point for Europe’s maritime community to network, discuss, and forge joint action, in support of an integrated approach to maritime affairs. It is an inspiring, interactive and dynamic event with a strong focus on key European Commission priorities. EMD was officially created on 20 May 2008 and since then is celebrated annually across Europe on 20 May. 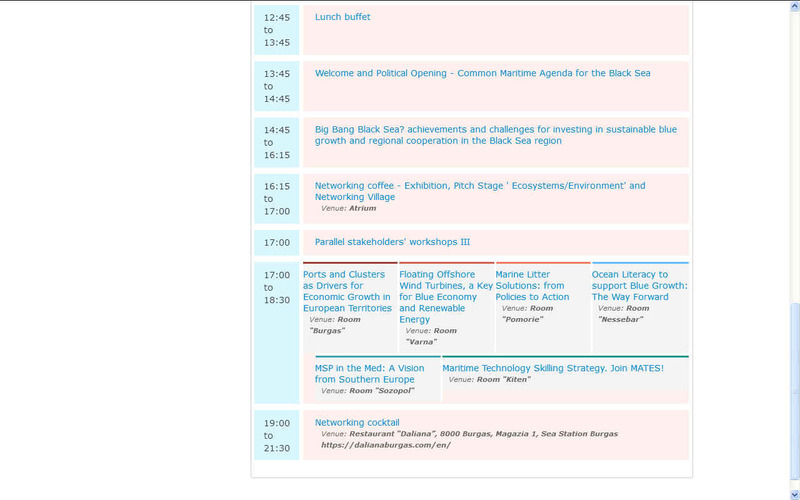 The main event of EMD is the European Maritime Day conference, held in a different region with a different theme each year. 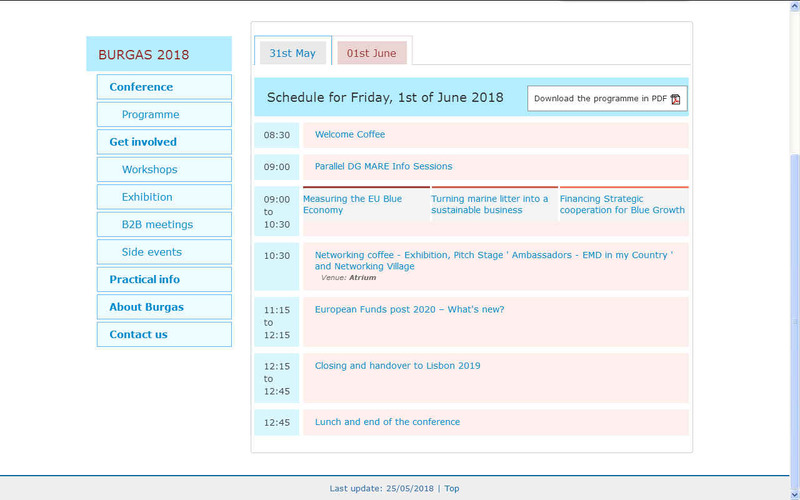 The EMD conference includes plenary sessions (with the participation of high level and key-experts), stakeholder workshops as well as B2B matchmaking meetings and an exhibition. It attracts regularly more than 1000 participants - policy-makers, maritime stakeholders, industry professionals and NGOs - from across the EU. Maritime Technology Skilling Strategy. Join MATES! European Funds post 2020 – What's new?